Need yet another constant stream of election information? AT&T’s joined up with the Pew Center to bring election coverage to your pocket, courtesy of VoteHub. The new app is a “nonpartisan clearinghouse for essential voter information,” including candidate info, AP press coverage, election results and the requisite social sharing through sites like Twitter, Facebook and Google+. The app’s available now for Android, with an iOS version coming in the near future. AT&T launches VoteHub, brings the presidential election to your pocket originally appeared on Engadget on Fri, 05 Oct 2012 16:51:00 EDT. Please see our terms for use of feeds. BASE jumping might just be about to enter the mainstream. What has typically been considered a fringe activity, reserved for thrill seekers and adrenaline junkies, could soon be firmly cemented in the public view. For the uninitiated, BASE jumping is like skydiving, without the plane. Participants throw themselves off bridges, antennae, buildings, cliffs, and well, whatever high object they can find. It’s not illegal, “in theory”, but as many of the chosen launch spots are public or private property — or pose a risk to public safety — gaining access to, or jumping from them, can mean stepping over the legal line. This otherwise obstreperous activity has largely kept to itself, occasionally popping up in magazines, or YouTube videos, but — all going well — on Monday that changes. Serial boundary pusher (of wing suit across the English Channel fame) Felix Baumgartner is set to leap, in the most literal sense of the word, from relative obscurity into the history books. How? 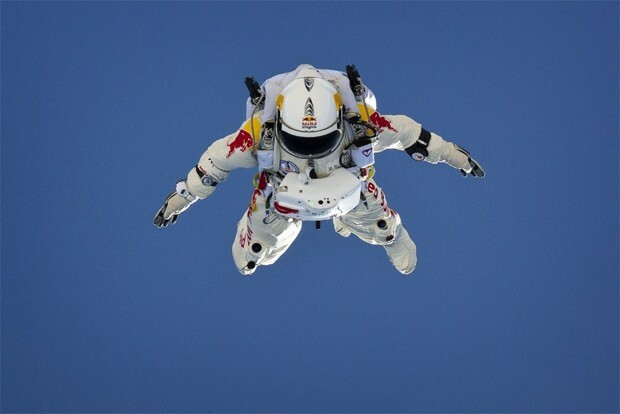 By jumping to earth from the edge of space, likely breaking the sound barrier as he does so. How does one go from humble Austrian beginnings to a capsule 120,000 feet (about 23 miles) above the Earth’s surface? Make a comparatively tiny leap past the break to find out. Leap of faith: Felix Baumgartner’s historic jump from the edge of space originally appeared on Engadget on Fri, 05 Oct 2012 16:00:00 EDT. Please see our terms for use of feeds. 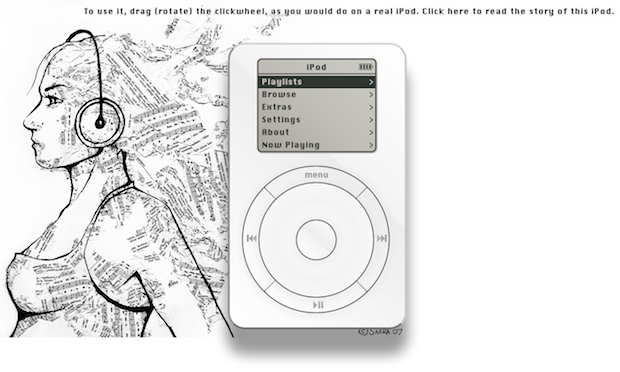 Dude recreates first-gen iPod in-browser, won’t put 1,000 songs in your pocket originally appeared on Engadget on Fri, 05 Oct 2012 15:27:00 EDT. Please see our terms for use of feeds. This entry was posted on October 5, 2012, 5:30 pm and is filed under Mobility. You can follow any responses to this entry through RSS 2.0. Both comments and pings are currently closed.